Max Aristid - Where Is Edward S.? SUBJECT: Where is Edward Snowden? 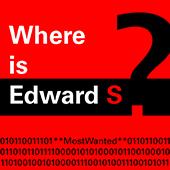 vocal phrase: Where is Edward S.? Where is Eddy?